Chinese National Television Xinhua news is now reporting an impending extraterrestrial disclosure by the Obama administration. The unprecedented national China TV news bulletin that U.S. President Barack Obama may be preparing to disclose U.S. relations with specific extraterrestrial races was broadcast on the official channel Xinhua on January 4, 2011 on the eve of China President Hu Jintao's state visit to the United States. President Hu is presently visiting a Chinese language facility in Chicago, IL as of this writing on January 21, 2011. View China National TV reporting impending ET disclosure by Obama administration. Examiner.com readers can view the China TV news broadcast above in this article here. The original Xinhua news article and news broadcast can be accessed here. One veteran China observer of expolitical affairs takes an opposite view. He writes, "The political processes associated with Chinese National Security including elements forming political mass [interpret UFOs as] a danger to the stability of Chinese Society. "Chinese say 'eat rice'! remember that for as long as you are watching Chinese politics. They eat rice but do not spit any out whilst talking. These people are strategists and the finest poker players on the planet. They will not disclose anything. "The Youtube video in Mandarin is of President HU talking about websites in the USA that put up sensationalist articles on UFOs, ET and disclosure. He spoke about the USA making some good films like CONTACT but some rather exaggerated and over the top films like 2012. "Everyone in China knows that the China /Obama disclosure story is a rumor; but at the same time everyone knows that China is being buzzed by UFOs which have closed 2 airports and created amazing aerial displays from time to time, particularly noted by Chinese academics in astronomy. "My view is to forget about this China/Obama disclosure issue at this point in time because most people here see disclosure as an organic process, under ET timing and methodologies; a process which is intensifying alongside changes in the earths basic resonances. A necessary cosmic conditioning process for masses by the ETs, without the need for a disclosure date by a terra politician. China see's the US people as helpless, trapped by financial disaster and under extreme control of a shadow government. They love the US people but despise the US shadow government." “’UFOs are not just rumors, or fake science like some people think,’ he told That’s Shanghai. ‘It is a fact that the entire human race has to face. It needs our attention and study. Although the majority of mainstream scientists have a negative attitude towards UFOs at the moment, there are still some who recognize their existence. Since the late 1970s, UFO witness cases have started to appear frequently, and more and more scientists are starting to study it too, for example, Pan Junye, an academic at the China Engineering Academy, Zhu Jin from Beijing Observatory, and Wang Sichao from the Nanjing Observatory.’ “As if that wasn’t spooky enough, scientists at Nanjing’s Purple Mountain Observatory say that during last summer’s eclipse, they filmed an unidentified flying object near the sun for a full 40 minutes. As observatory director Ji Haisheng says, it will take months of footage analysis before the team can reach a conclusion, but still! “Lou Jinhong, Director of the Shanghai UFO Research Center, is Shanghai’s No. 1 UFO expert. He served in the PLA’s No. 9 Aviation School in the 1970s, studied aircraft and later went on to work at the Shanghai Aircraft Research Institute. In short, he knows his flying objects, identified or otherwise. “Lou acknowledges that 95 percent of reported UFO sightings are just hoaxes or misunderstandings, as witnesses often mistake Venus or Jupiter for more mysterious heavenly bodies. “All the same, Lou is convinced that his own sighting was no mistake. ‘On September 26, 1971, I was serving in the PLA’s No.9 Aviation School, and my troop was located in a small valley in the suburb of Laohekou, Hubei. After dinner, we walked to the park to watch an open-air film. I can still remember, it was a colored film from North Korea called Flower Girl. The sky was very beautiful and clear, dotted with many stars. I looked up in the sky by chance and suddenly saw a spiral-shaped object slowly flying across the sky. It was twice as big as a full moon and the speed was similar to an airplane. We were all from the aviation school, so we had learned aircraft principles, discussed aircraft stories and seen many real aircraft. But no one had ever seen anything like this. Back then, no one had any idea what a UFO was, but we all definitely eliminated the possibility of it being any kind of manmade object. Since then, a giant question mark has been stamped in my head.’ “Lou argues that it’s only rational to assume Earth is not the only special planet. The conditions necessary for developing life aren’t so extreme, so we shouldn’t be the only sons of the universe, he says. "All News Web has received information from government insiders close to the US President that Barack Obama has been given the go ahead to make an important "off the cuff" announcement regarding UFO visits and US contact with aliens. "Allegedly DARPA has given this move the green light. The comments by the President will be made within the next month. "Our sources claim this will not be outright admittance of UFO visits and contact with aliens, however the comments will come as close to admittance as any President has to date and will be made in the context of a speech on an entirely different matter. "From what we understand The President will concede that there is 'some evidence' to suggest aliens might have attempted to contact Earthlings. Reason #1 – The U.S. will disclose because the ETs are forcing it to do so. 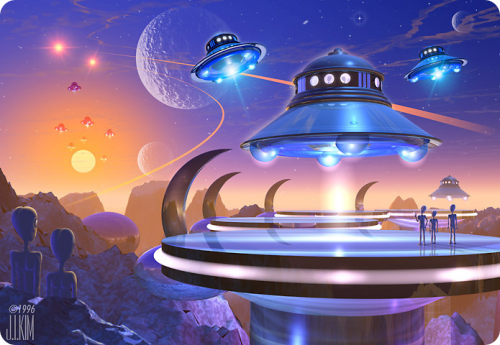 Here is a recent article and video interview I completed about reported communications between the regional galactic governance council and a former NATO-Spanish intelligence agent, who is also a contactee of the council in addition to Mr. Fulham. In the interview, the former NATO-Spanish intelligence agent states that he was contacted interdimensionally on Nov. 9, 2010 by a source claiming to represent the council that that summarized much of the reported extraterrestrial council plan that Stanley Fulham reported in his book Challenges of Change. As can be seen in the above article, there were in fact large-scale UFO sightings video-taped over New York on Nov. 24, 2010. Since Stanley A. Fulham had accelerating pancreatic cancer in Nov. 2010, what seems to have occurred is that this interdimensional source stating it is representing the galactic governance council is now coming through other individuals with new information and predicted, confirmed UFO sightings. The essence of the council's message is that in an extraordinary meeting around Jan 2010 (Earth time), members of the council met and determined to set aside the law of non-intervention, as it made a factual determination that the ecology of the Earth was on the verge of collapse and beyond the capability of human technology to forestall collapse and species extinction. Accordingly, the council indicated it had made a decision to intervene with advanced technology (probably Pleiadean) by 2015 (if not before) and clean the atmosphere of the Earth. The council is also seeking to make a world speech explaining their ecological plan in 2014 (if not before). Both Mr. Fulham and the NATO-Spanish intelligence officer mentioned that their interdimensional sources indicated large-scale social, financial, governmental, etc changes would take place on the planet 2011-14. From the available evidence, it would seem that the galactic governance council has the ability to identify and create credible sources for further information and updates (should all of this scenario be in fact true and authentic). Scientists such as Dr. Carl Johan Calleman states that starting in March 2011, the singularity - or inter-dimensional portal - at the core of our universe will commence emanating consciousness energy waves of enlightened unity consciousness. These consciousness energy waves of enlightened unity consciousness are mediated throughout the universe, through the inter-dimensional portal at the core of our galaxy (the galactic black hole). Reason # 3 – The forces for ET disclosure within the U.S. government will have gained the ascendancy.